World-leading brand of major household appliances, Haier Group Corporation (Thailand) returns to the award-winning Pattaya Exhibition And Convention Hall (PEACH) for its successful Haier Dealer Conference 2018. 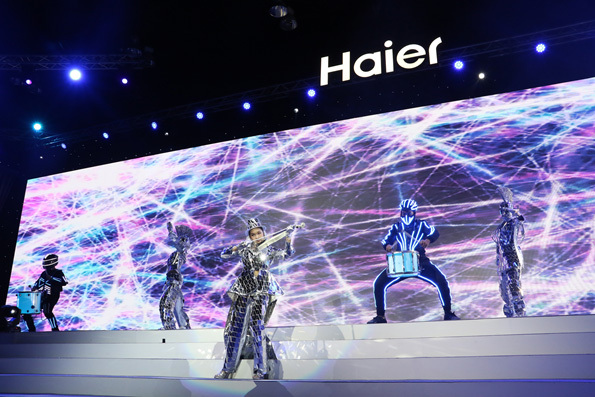 The event consisted of an electronics appliances showcase which gave delegates the opportunity to learn more about new Haier products that were launched for the first time during the conference. It was followed by an award presentation in the evening where attendees were entertained by an art and music performance as well as an exclusive concert from one of Asia’s famous pop singers, Tata Young. Haier Group Corporation is a Chinese multinational consumer electronics and home appliances company headquartered in Qingdao, Shandong province, China. PEACH is a world-renowned multipurpose award winning convention facility under the flagship of the Royal Cliff Hotels Group. Offering an ideal location, modern facility and professional service, it is the perfect venue to hold any kind of event and can accommodate up to 10,062 people theatre-style. Want to hold your next event at PEACH? Request for a proposal by contacting our Sales Managers at (+66) 38 250 421 Ext: 2845 or email: success@royalcliff.com. Let us make your event extraordinary! 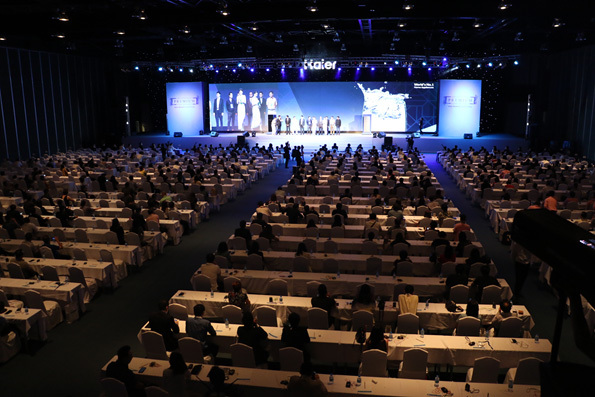 Photo Caption: The successful Haier Dealer Conference 2018 was recently held at Pattaya Exhibition And Convention Hall (PEACH). 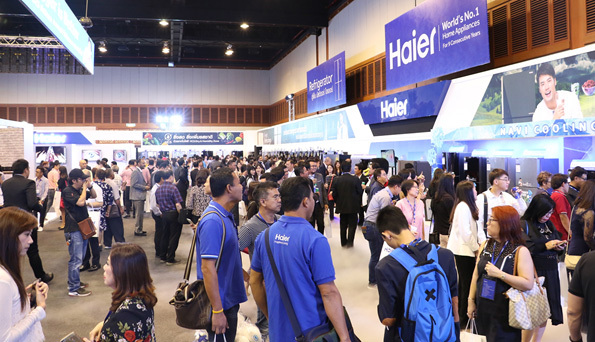 Photo Caption: Hundreds of delegates participated in the Haier Dealer Conference 2018 and enjoyed Haier’s electronics appliances showcase at Pattaya Exhibition And Convention Hall (PEACH). Photo Caption: Amazing performances entertained all attendees of the Haier Dealer Conference 2018 at Pattaya Exhibition And Convention Hall (PEACH).